To help you better understand the brand you are looking to buy, WhatShed have compiled the following collection of useful resource pages for each of them. It should make your new purchase a little easier. If you feel we have missed anything off our list, please feel free to email us and we will do our best to add more. Thank you for checking out or Arrow Sheds review. This is not one of the more well known garden building retailers in the UK, but their products can..
Today at WhatShed we have put together this Mercia Garden Products review so that you fine folks know exactly what kind of retailer they are. We are going.. Here at WhatShed we are aiming to review all the major brands when it comes to garden structures and today it is the turn of TGB Sheds. We.. 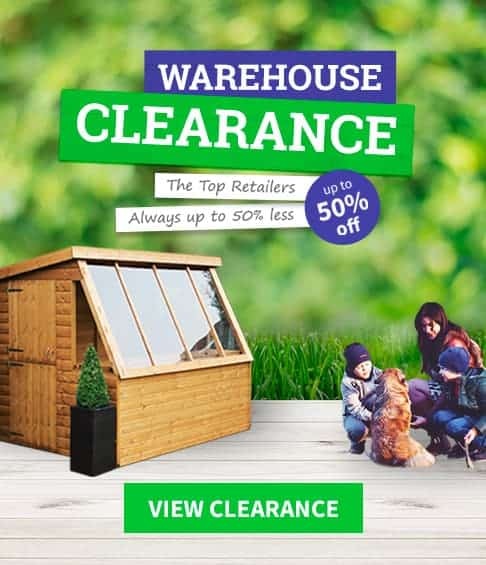 Here at WhatShed, we take great pride in making sure we cover all the major brands that you have probably heard of, as well as some of the..
By the end of our Rowlinson Garden Products review, you are going to know if this is the right brand for you. Here at WhatShed we like to..
Today we are going to be sharing with you our thoughts on Asgard. No not the home of the Mighty Thor, but one of the top brands when..
Vitavia may sound like some kind of mythological Greek warrior and for all we know it very well may be as here at WhatShed we are not too..
One of the most well known brands when it comes to things like playhouses, summerhouses and even sheds, is Shire. Today we are putting on our reviewing hat..
Today we are taking a look at one of the leading greenhouses brands in the UK, and that is Halls Greenhouses. In our Halls Greenhouse review, we are.. So that you guys know exactly what kinds of sheds are out there for you, here at WhatShed we have decided to put all the leading brands through.. Here at WhatShed we like to make sure that you folks are as well informed as possible about sheds. Types of sheds, sites that sell sheds and even..
Today we are taking a really close look at one of the major US brands of sheds, Lifetime. We are going to be very fair in this Lifetime..
You really do not get much more low maintenance than a vinyl shed and here at WhatShed we have found that more and more people are not just..
For those of you who do not want the hassle of maintaining a wooden shed or for those that just love the look of a metal one, we.. While we love a good wooden shed here at WhatShed, we also like to make sure that you folks know that there is actually quite a lot of..
Not only do we like to look at different shed retailers here at WhatShed, we also like to have a real good look at the major garden structure..